Search Engine Marketing is not – and has never been – about bid optimizations or title tags. Nor is it about performing endless rounds of multivariate tests in a Russian roulette-like manner only to bask in the glory that statistical significance can provide. In observing how Google’s evolution has impacted all industries over the past year, many advertisers now find themselves struggling with what economist Theodore Levitt termed ‘Marketing Myopia’. That is, in the face of changes brought about by technology and user behaviour, many search marketers are increasingly focused on tactics while forgetting that their primary task is to fulfill the needs of customers. Online Search was significantly transformed in 2016 through a number of changes borne of Google’s ostensible desire to improve searcher satisfaction. The changes were many in number and sometimes subtle in nature, so without itemizing everything in detail we’d like to begin this blog post simply by stating that the outcome of the many vicissitudes seen in 2016 was that, to an extent never before seen, search results became MORE than just website listings. These search result improvements often appear in combination, which means that any given search has the potential to return a variety of results. 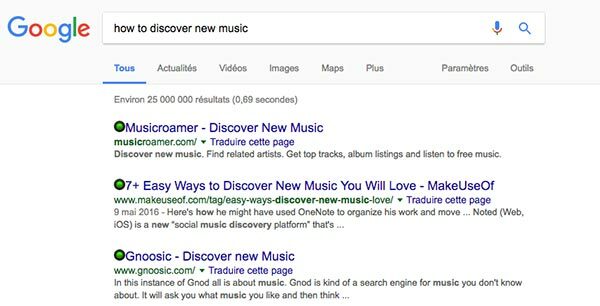 What does that mean for those little blue links that you may recall once defined ‘search results’? They are still around, but they have been pushed further down the results page to accommodate Google’s new foray into the world of search. As sad as it may seem, organic listings – these small but legendary stalwarts of Google’s swift and thorough conquest of the search engine industry – are going to be seen by far fewer searchers as time goes on. They were pushed down by more paid ads, muscled out by local maps results, hidden by images or news results, and flat out bullied by those ‘quick answer snippets’ Google presented with startling ubiquity. Then, just as it started to look like things couldn’t get any worse for these more traditional organic search results, user behaviour shifted. By the end of 2016, the majority of searches were conducted on mobile devices. There was a time when showing up in the top ten search results of Google, regardless of what search was performed, was a fantastic thing. After 2016, showing up in anything less than the first three positions will most likely require more effort and scrolling than anyone except the most persistent (some might say obsessed) individual would bother to endure. The move to Mobile isn’t the only major change in user behaviour marketers saw in 2016, as there was a surge in ‘voice searches’ performed via intelligent assistants. Users increasingly found themselves confiding in search engines as if these were online diaries; expressing their curiosity with the likes of “How can I”, “Where do I”, “What’s the best”; that is, performing Seuss-like informational queries. This meant that the “quick-answers” snippets alluded to earlier were even more likely to make their presence felt. So what did all this actually mean? Well, it meant that if you weren’t running a paid ad in top position, if you didn’t have the best answer to most of the questions people asked, or if you weren’t a local brick and mortar shop eligible to show up in maps, your website probably wasn’t going to get as many visitors through online search as it once did. The sobering impact of the new landscape on businesses and agencies has been detailed in David Mihm’s sort of depressing but highly regarded 2017 Local Marketing Predictions. And yet, for those of us committed to delivering value to our clients through search marketing, this does not spell the end of SEO. As Alfred Korzybski once remarked, “The map is not the territory”. Our understanding of the search marketing landscape will never be fully reflective of its actual potential. If we permit our grasp of its opportunities, limitations, and logic to evolve and grow beyond what we previously understood, we find that a clear way forward emerges. Search marketers will need to put their analytical machetes to use and cut through the bush and vines surrounding the new search landscape, effectively delineating certain types of search queries from one another. Search marketers have been ‘categorizing’ search terms for quite some time, and these categories are not unlike the customer segments and personas that have existed in the marketing ether since time immemorial. However, the difference is that the function of search term categories is not to separate customers by demographic, but to differentiate them according to their intent and stage in the buying cycle. Some searches are thought to be transactional (“buy a tv online!”) while others are more informational in nature (“compare the best TVs”). These search term categories can and should be repurposed to also reflect searches that are more or less likely to show paid ads, local maps, or other search features that will push down the ‘regular’ organic listings. Once this is accomplished, a more holistic search marketing strategy can be pieced together to ensure the optimal channel is being used to capture traffic for each search term. 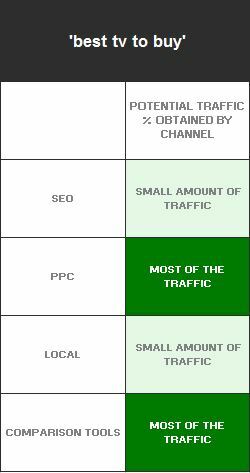 The table illustrates our belief that both SEO and PPC channels are of equal value to search terms related to the brand. Studies have shown that when both paid ads and organic listings are shown at the same time, the click-through rate for both increases. 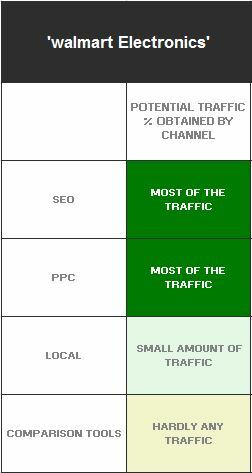 For this particular category of search, maximizing efforts for both SEO and PPC equally will continue to deliver the best value. Search terms with local intent are very different. These searches will yield both paid ads and local maps results while the traditional organic listings get pushed far down the page. The optimal search marketing mix here is to target those terms through paid search ads and by ensuring your business’ local contact information is properly displayed in Google Maps results. Keywords with high purchasing intent (‘transactional’ terms) like “buy tv online” will continue to see some traffic from organic search, but much more will be delivered through paid ads. SEO is still valuable here but the ROI will be less significant than in the past. Terms related to product or service comparisons, like “best TV to buy”, will also see paid ads push down organic results. Moreover, the organic results that do show up will largely be monopolized by enterprise level ‘review’ websites like consumerreports.org and trustedreviews.com. If you sell TVs online, targeting these types of terms through organic search, though possible, will likely be cost prohibitive. The searcher is explicitly looking for fixes to a problem your product or service could solve OR the searcher is asking questions that suggest they are interested in your product/service category now or at some point in the future. Note that the first two pages that show up in search results are commercial in nature. They satisfy the intent of the search term by providing a free music discovery tool and monetize their efforts through iTunes affiliate links. 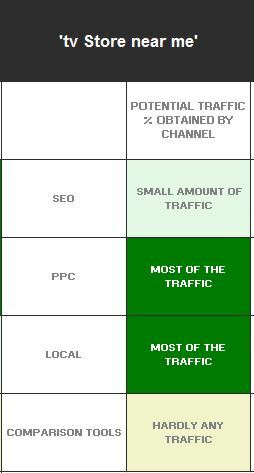 This is an example of organic listings producing enough profit to generate a positive ROI through SEO efforts. An example of the second type of search term could be something like “toddler shoe size”, which features a diverse set of results including Nordstrom and Zappos, who are no doubt happy to capture visits from people making those types of searches. These types of terms are notoriously difficult to target through paid search in a profitable fashion because people performing those searches are typically at the top of the conversion funnel. 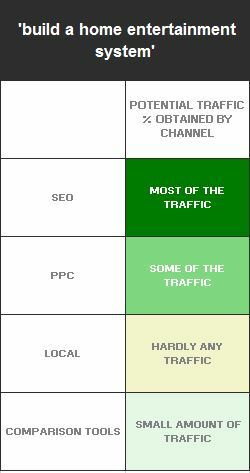 With paid search, the second you stop paying, your ads will stop showing. 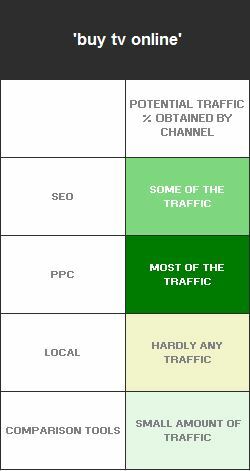 That means every click and every visit needs to yield a certain likelihood of a purchase. This likelihood can fluctuate widely depending on the searcher, the season, the competition, and many other factors that all require close supervision, maintenance, and cost. Often marketers find it’s just not worth it to put all these resources towards informational terms when there are higher converting keywords still left to conquer. Conversely, because SEO has more to do with earning your position on the search result page, once you are deemed relevant and authoritative by search engines, your position is more secure relative to paid search. It’s the difference between renting and owning. Once the initial effort is completed, there is much less cost attributed to sustaining your asset. Our conclusions here shouldn’t come as a surprise as search marketing has always been about providing the best possible experience for the searcher based on what we know from their query. The optimal search marketing channel to use will always be the one that best facilitates the satisfaction of the search intent. If I’m searching for “where to buy a TV”, I’m probably going to be more satisfied with a paid ad that shows a picture, a price, and some review stars than I will be reading through a 5-year-old Tumblr article by the self-proclaimed “TV GURU”. In contrast if I am looking up “what to wear to a spring wedding”, my search will not be satisfied by anything less than quality information that is articulated in a way that is at once comprehensive and easy to understand. Search marketing is a data-driven channel. The purists stand out, often galvanized into action when confronted with endless rows of raw data, ready to pivot at a moment’s notice. Who’s in the auction? What’s trending? Who clicked – and from which device? What’s converting, trending, dipping, rising? But that’s not all. By its very nature, search data is as dynamic as being thrown onto a roller-coaster with a blindfold on. It is dynamic in that it reflects ongoing changes in an online marketplace. And in a race to analyze the digits, one crucial element may be forgotten: the audience. Case in point: if I’m searching for “luxury cars”, this means I am on the hunt for information, not necessarily looking for a specific manufacturer’s site or ready to make a transaction. These types of searches are especially difficult to monetize in the realm of paid search as the intent remains debatable. As part of holistic paid and organic strategy, this is precisely where remarketing comes into play. If I am searching for “luxury cars” and have visited your site organically, I am now part of your retargeting audience and familiar with your brand. You, in turn, should be willing to invest in me as one of your potential customers. Instead of casting a wide net by bidding on broad keywords, advertisers can focus this investment based on key signals your audience has shared. With the right paid search tactics in place, we have the ability to gently nudge this audience one step further down the funnel – whether it be with catered messaging or specific landing pages. In the context of the broader search landscape (in that traditional organic listings yield less traffic than before etc..), remarketing should no longer be considered an “advanced” tactic but an essential part of ensuring a positive ROI on combined SEO/SEM efforts. At the end of the day, digital marketers do not control intent and we do not control search engines. But, as Jimi Hendrix once said, “Knowledge speaks but wisdom listens”. To be a great marketer in the ever evolving realm of search is to be a great listener. And if you pay careful attention, you’ll find that in 2016, the search landscape had a lot to say.